With so many different locks and lock manufacturers in the market, it can be confusing at times shopping for a new lock that will protect your office or small business. Because of the wide selection available, you want to make sure you will pick the right lock that will fit your small business security needs. With a wide range of commercial property locks that come in different grades, prices and with different features, it is sometimes hard to make the decision especially when there are different brands in the market as well. Before starting your search for the ultimate security lock system for your small business or office, determine what would you like it to do, where would you like it to be exterior/interior, and what type of features you’d be interested to have with it as well. With today’s technology, many commercial grade locks come with different unique features such as key-less entry capabilities and even high security advantages. The leading names in the industry such as Schlage and Kwikset provide many types of lock systems for small businesses and office applications. Schlage offer many types of key-less entry lock systems and high grade cylindrical locks for businesses. As one of the leading brands in the lock industry for decades, Schlage offer the best and reliable key-less entry lock systems in the market. However, their cylindrical commercial grade lock system, such as the Everest Primus far exceeded all expectations when it comes to high security. The Everest Primus is the most reliable and tamper proof lock system available in a cylindrical form for small businesses and office applications. Lets not forget Kwikset and their innovative ways of reinventing home and small business security. Kwisket offer a line of lock systems featuring Smartkey technology. With this technology implemented, the user will be able to re-key the lock independently without the assistance of a professional locksmith. Although it seem like a minor benefit for the average home owner who only tend to re-key the lock every few years, for a business owner it is a huge time and money saver. Instead of calling a professional locksmith to re-key the locks due to a high employee turnaround, you can do it by yourself! In addition, locks that features the Smartkey technology from Kwikset were proven to be pick and bump proof as well! 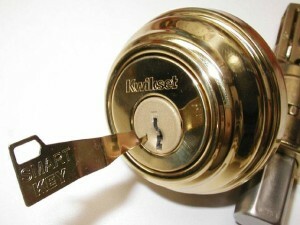 For more information about lock systems for small business or office, contact NorthWest Locksmith Reno (775) 276-5673. This entry was posted in Locksmith Tips and tagged high security, key, keyless entry, kwikset, lock, locksmith, locksmith reno, reno, reno locksmith, schlage. Bookmark the permalink.